Color means many things to different people. It can be a symbol of a culture and a play on our emotions. It also captures our attention when we need it to. Color has meaning. While traditional China sees white as the color of mourning, in Western culture white represents “cleanliness” and “purity” (or when taken to extremes, “sterility” or “coldness”). In Japan and most of England, black cats are a symbol of good luck; but are seen as a bad omen or bad luck in the West. Color has meaning (and, yes, the color scheme in McDonald’s is designed to get you to eat more!). Institute for Color Research – up to 90% of subconscious judgements about a person, environment, or time are based on color alone. CAP Ventures (From 2008/9) – full-color variable documents enhanced customer loyalty and retention, generating 34% faster response rates, a 48% increase in repeat orders, and a 32% increase in overall revenues. Not only does color have meaning, color matters. How can you take advantage of color? Do you have a color printer or color copier? Then you can print in color. Here are some ways to maximize printing color documents. Use color to draw attention to the “due by” date by adding something as simple as a colored box around it. It’s effective to do this around the amount due as well. You can take this one step further for past-due invoices by printing your invoice on colored paper. Shifting from plain old white to an entirely different colored paper is usually enough for someone to take notice – and then take action. Then click on “Page Color,” select your color from the pop-up box and you now have a color background to your document. Be sure to keep in mind that printing many documents with a colored background could exhaust your ink supply quickly, so use sparingly in print (or buy colored paper) or only use for electronic communications. The most important element is always readability, so make sure the document is still clear and legible. Our eyes begin to play (even more) tricks on us as we age and one of the first things to go (color-wise) is a decrease in the ability to see pale blue. Be kind to older eyes; don’t use this color when choosing fonts or accent colors. Biologically, our eyes are designed to catch movement and to notice the exceptions. When designing a document, use this to your advantage. Guide your reader to the elements that are most important by using color in section headings, table, and important points in your document. This article, How to Use Color in Business Proposals, has a good run-down of what various colors “say” about you. Be sure to use contrasting colors to enhance readability when printing color documents. We don’t mean white text on a yellow background. These colors don’t have a big enough contrast, making it very hard to read. Black text on a white background is a good contrast – equal that level of readability when using color. Use color to draw attention to a marketing message – a discount offer to customers or an upcoming event, for example – at the end of a customer-facing document. Not everyone sees color. Remember those eye tests from grade school – the ones with the colored dots and a number? Some people see a different number, so use color to supplement and reinforce, but be sure your document make sense and is readable regardless. Printing in color can improve the action you want taken on the documents you use for business. 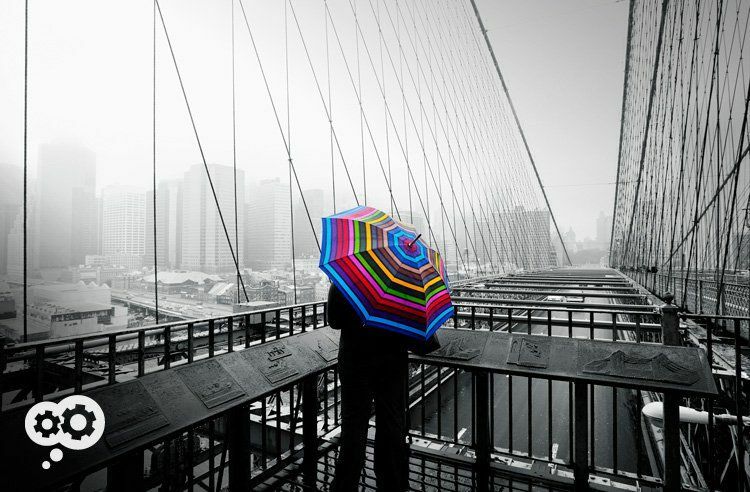 Isn’t time you added a little color to your life?